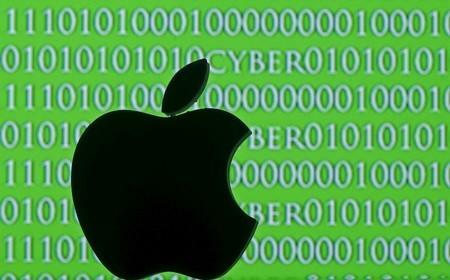 WASHINGTON (Reuters) - The U.S. government and Apple Inc will be able to cross-examine the other's witnesses in a court hearing next week on whether the technology company must help federal investigators unlock an encrypted iPhone tied to one of the San Bernardino killers, Apple said. The hearing, set for Tuesday, is the latest development in a showdown between Apple and the government that has become a lightning rod in the national debate over digital privacy and what kind of data on phones and personal devices should be accessible to law enforcement. All the witnesses have given written declarations in the legal briefs already filed in the case, said an Apple lawyer who spoke to reporters on a conference call on Friday, on condition of anonymity. The attorney said the government made a request late on Wednesday for witnesses who work at Apple who could discuss technology. The attorney said Apple would make two employees - Chief Privacy Engineer Erik Neuenschwander and Global Law Enforcement Manager Lisa Olle - available for cross-examination. Neuenschwander's declaration in part says that Apple would need to create a new operating system to bypass its own security and challenges a government claim that the company creates individual software for different phones. Olle argued in her declaration that creating the new operating system would be burdensome for Apple and would spark more requests from law enforcement. Apple would need to hire people “whose sole function would be to assist with processing and effectuating such orders,” she wrote in her declaration. The government will also have two Federal Bureau of Investigation witnesses available during the hearing in Riverside, California, a law enforcement official said. They are Stacey Perino, an electronics engineer at the FBI, and Christopher Pluhar, the official said. Testimonies from Pluhar and Perino in part concern attempts to access the iPhone's data through the iCloud. Apple and security experts have criticized government officials for resetting the Apple identification associated with the phone, foreclosing the possibility of recovering additional data through an automatic cloud backup. Perino said in her declaration that investigators would not have been able to access the phone's data even if the reset did not occur. Apple is fighting a court order obtained by the FBI last month that requires the company to write new software to disable the passcode protections on a work iPhone used by Rizwan Farook, one of the two shooters in a December rampage that left 14 dead and 22 wounded.